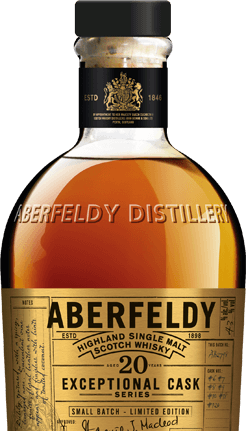 A whisky known as the ‘GOLDEN DRAM’ the Aberfeldy distillery’s water source is the famous Pitilie Burn a river renowned for its water quality and famed for its rich deposits of gold. 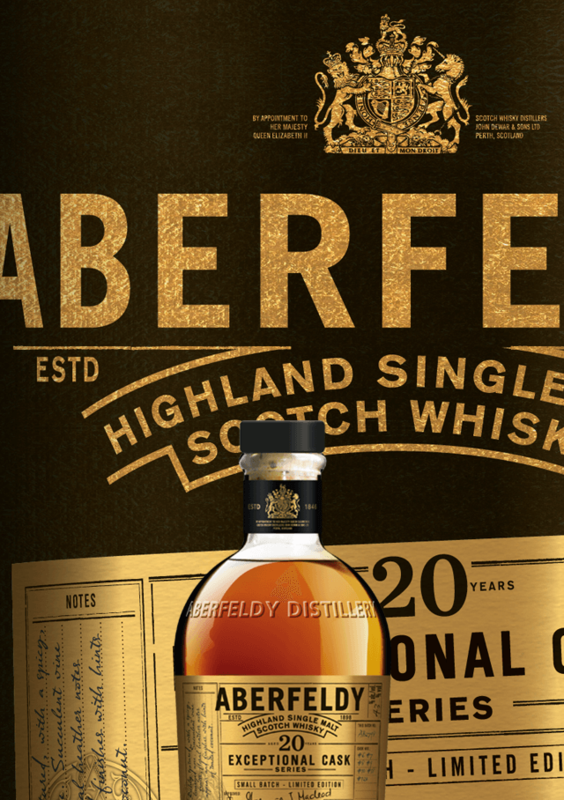 a longer fermentation time creates a smooth, complex and fruity whisky with honeyed sweetness. The exceptional cask series is a collection of extraordinary single cask bottlings, double–cask and small batch releases specially chosen by our master blender and malt master, Stephanie Macleod. 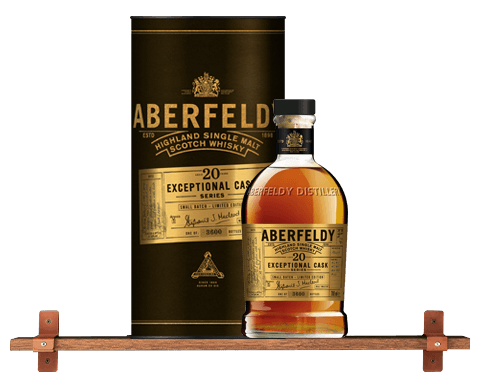 bottled in small quantities, the extremely rare releases include some of the finest and most delectable single cask and single malt expressions from the Aberfeldy distillery. One of a kind – once they’ve gone, they’ve gone: meaning you have the opportunity to try something truly limited. Selected for their finesse and remarkable qualities. Also known as ‘finishing’, the term ‘double–cask’ refers to the use of more than one cask in the maturation process. These secondary casks, usually ex–wine casks such as port or sherry, impart some of the original flavours to the whisky, complementing the distillery character and adding a further layer of complexity. 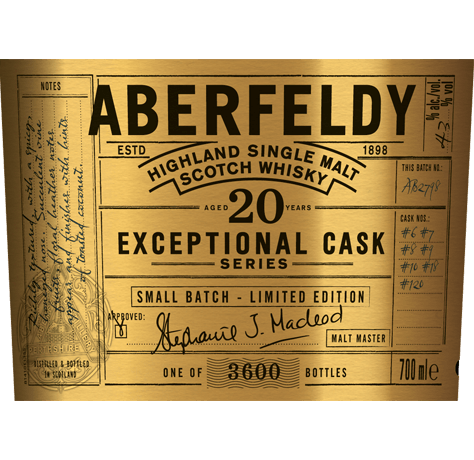 These limited releases are a combination of a small number of casks; A collection of extremely rare and ultra–premium aged whisky available in limited runs, hand–picked by Stephanie MacLeod. Richly textured, with a spicy, honeyed nose. Succulent vine fruits, floral heather notes appear and finishes with hints of toasted coconut.